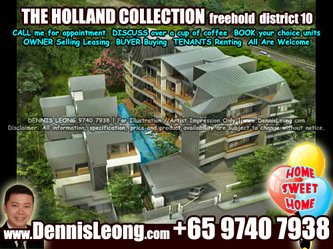 THE HOLLAND COLLECTION Condo For Sale. District 10, Holland Road, Dempsey, Tanglin, Farrer Road MRT. 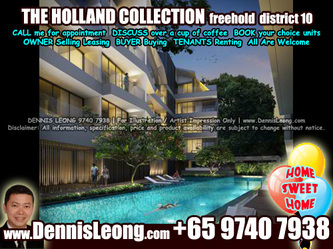 The Holland Collection is a luxury condominium development in a prime residential area, situated along Holland Road in Singapore. The development has 26 unique units with 19 variations in terms of size, space configuration and outdoor living areas. Choose from garden, poolside and penthouse units with multiple dimensions of flexible living space span two, three and four bedrooms. Some with lower ground level or attic, some with private jacuzzi and terrace.